Please check your email for a password reset. I want to sign up! Forgot password? Need assistance with your account?
" Reservhotel is a very professional and up to date central reveservation system. We have had their booking engine for years now. They have helped us achieved a tremendous growth on direct bookings.I also appreciate how they seek to improve in an ongoing basis and keep direct communication with us (clients). " 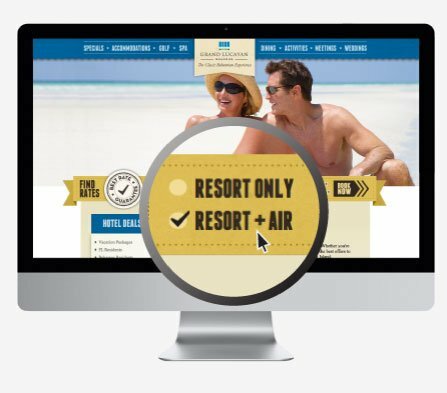 Our innovative, hassle-free booking engine combines hotel & air packages or simply hotel only solutions to offer convenience for your guests while maximizing your revenue. Become your own online travel agent and sign up today!